What should you do if your dog growls at you? I recently came across this article in Whole Dog Journal that I wanted to share that talks about what to do if our dog growls at us. Although, we don’t like when our dog growls at us it’s good to know what approach to take. Growling is a form of communication for dogs and we should appreciate and respect that rather than punishing them for it. It’s important to recognize that if our dog is uncomfortable he has to be able to express that. If we punish our dog for growling this often suppresses the growl and eliminates his ability to warn us that he’s about to snap. It’s also good to keep in mind that by punishing our dog for growling can also trigger him to escalate into full-on aggression. Some examples on how to handle the situation when your dog growls: If there isn’t much time between your dog growling and biting be safe and stop what you’re doing. If his growl doesn’t mean his bite is imminent stop what you’re doing but stay where you are and once your dog has calmed down into a relaxed state get up and move away to reward the relaxed state rather than the growl. Analyzing the situation is also a good idea to determine what provoked the growl. Did you take his toy away from him? Were you restraining him? 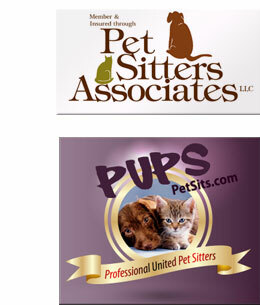 You can learn more about natural dog care and training at: http://www.whole-dog-journal.com/. 2. Don’t leave pets out in the yard during Halloween. 4. Keep your outdoor cats indoors several days before and after Halloween. 5. Keep Halloween plants and pumpkins out of reach. 6. Don’t keep lit pumpkins around pets. 7. Keep wires and electric light cords out of reach. 8. Don’t dress your pet in a costume unless you know they’ll love it. 9. 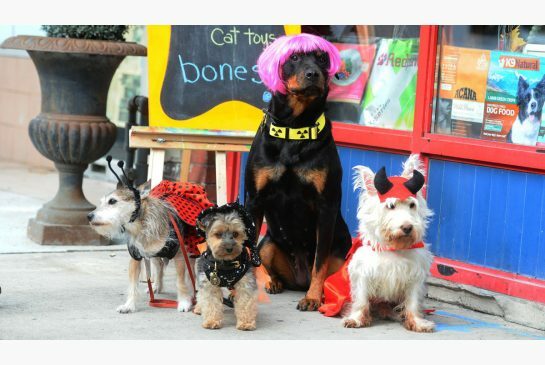 Try on pet costumes before the big night. 10. Make sure they are wearing their ID tags. Do you feed your dog a Raw Diet? If you’ve chosen to feed your dog a raw diet, you should know which minerals and vitamins your dog needs. I found this guide from Dogs Naturally website that I’d like to pass on to those of you who do not subscribe to this magazine. This guide shows you the vitamin and mineral content from both meat sources and herbal sources. Hope this helps in feeding your dog a raw diet. 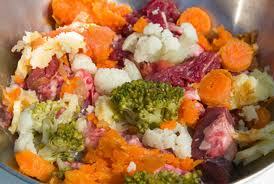 Maybe it will help you to decide if a raw diet may work for you and your dog! This site has a whole list of homeopathic treatments you can use on your dog for acute cases such as trauma, poisonings, seizures and hot spots. Homeopathic treatments usually come in a dry pellet form that is dropped directly into the patient’s mouth or a few pellets can be dropped into your dogs water bowl. A few useful homeopathic remedies that you should have on hand are Arsenicum album which helps gastrointestinal tract problems such as diarrhea and vomiting. Cocculus can be used for severe nausea with vertigo and motion sickness. Hypericum is a remedy to not be without. It is used for trauma to highly enervated tissues – crushed paws, spinal injuries and broken tails. Please click on picture to visit the link to start learning how to treat your dog with acute cases using homeopathic remedies. A Safe, Natural Prednisone Alternative? BETA-THYM provides relief without the dangerous side-effects, which offers a safe alternative to reduce chronic inflammation. 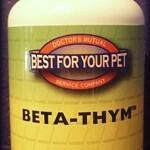 It is recommended by many holistic vets for inflammatory problems of all sorts. Give it a try if you have been giving your pet Prednisone and have been looking for an alternative due to its harmful effects on your pet’s health. The Ruff Run 2012 will be held August 18th, at 8am, River Bend Park. This is DogPAC’s main fundraiser of the year. Come out on a fun and scenic run or walk with your dog and help raise funds to keep off-leash dog parks and off-leash dog trails going! It’s going to be a fun day!! Do you find that your dog gets out of control during certain situations and has uncontrollable behavior? Do you have a nervous dog that goes berserk and into a total panic through fear that he endangers himself or others? Cherry Plum flower remedy can be given to your dog to restore control. It can be given directly on his tongue or put in his water bowl. It is also suggested that owners take this remedy too, as we become afraid of an animal’s behavior and may have been the cause with our own behavior. It comes in a bottle as a liquid form that you should find at your local health food store. It is also used in combination with Aspen flower remedy that is used for unknown fear. 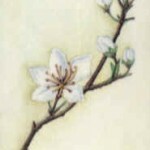 Rescue Remedy flower essence is also used in conjunction with Cherry Plum. Give it a try! To find out more information on Flower Remedies for your pets check out Bach Flower Remedies for Animals by Helen Graham and Gregory Vlamis. 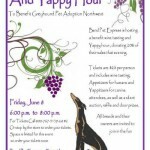 Come and join in on the Fun of some great wine tasting, appetizers and silent auctions to benefit Greyhound Pet Adoption Northwest. Tickets are $20.00 for this great benefit and all breeds and their humans are welcome!! Keep your dog cool in the summer! As these hot summer days are approaching, keep in mind that our dogs are heating up too! Some ways we can try to cool our dogs off are by providing a kiddie pool for them so they can get their paws (where their sweat glands are) wet to cool them off. You can also put a cold, wet towel on their belly since their bodies do cool from the bottom up and do not push your dogs to exercise on very hot days, which can lead to heat stroke. 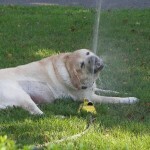 Dogs that are older, overweight or may have heart or lung ailments are more likely to suffer from heat stroke than younger dogs that are in more better shape. Always remember to provide fresh, clean water at all times. During the hotter days, they tend to drink more water to cool off so remember to check and add water more often. 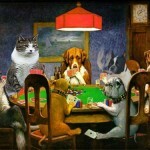 Don’t forget to purchase your tickets for the 1st Annual Cool Cats Casino Night Fundraiser. There will be casino tables, appetizers, door prizes and a no host bar! Held on May 19th at the Eagle Crest Conference Center in Redmond. Doors open at 6pm.